Lilian Speaks Out About Her Kids Dropping Out Of School. 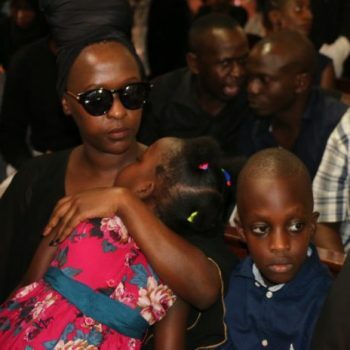 For some good weeks now, rumor has been running allover social media about how musician Lilian Mbabazi is currently struggling to pay her kid’s school fees, Asante and Izuba Sekibogo, the children she had with the late Mowzey Radio. However, the singer has now come out and trashed all these rumors that her two children Asante (boy) and Izuba (girl) are redundantly sitting home because of failure to clear school fees. “Hey guys, just to let you know, Asante and Izuba are fine. They love their schools and are very happy children growing up in a loving home. I am proud of how much they have grown. Asante is in year 3 and Izuba is almost done with nursery.. In September she joins year 1.” Lilian wrote on her Facebook account. Meanwhile, it should be remembered that in the first place, all this rumor was sparked off by an interview Mowzey Radio’s mother Kasuubo Jane had with a local TV and announced that her grand kids have no one to pay their school fees, so they are seated at home.